Latest figures show Manchester is one of the best places in the UK for rental growth and investment. At the centre of the much talked-about northern powerhouse, the city is benefitting from increased investment and infrastructure development - and prices of Manchester property are starting to climb. Rental yields across the city are 6.7 percent, more than double London’s 3.2 percent. If you’re seeking decent rental returns and high rental income, buying real estate in Manchester is a safe bet. But where should you invest in a buy-to-let Manchester property? The M14 postcode encompasses Fallowfield, Rusholme and Moss Side, as well as the main University of Manchester campus. That of course means great potential for student rentals - around a third of the people living in this postcode are full-time students. Once upon a time, the Moss Side area was more famous for riots than it was for investment property. But increased investment has ramped up safety and local infrastructure: the bus network has improved, as has the cycle network. 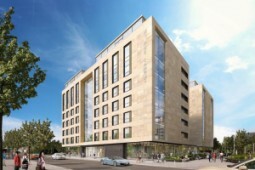 Fallowfield and Rusholme are synonymous with student accommodation, attracting the bulk of the city’s students. Rental yields in this postcode are currently over 8 percent, slightly above the Manchester average of 6.7 percent. The M38 postcode encompasses Little Hulton, where prices are currently low - the median property price here is just £90,000. It’s not the top end of town, certainly, and prices will be slow to rise here. But if you’re looking for a favourable price-to-rent ratio, it’s worth considering as rental yields are around 7 percent. Including Pendleton, Claremont and Langworthy as well as some of Salford, the M6 postcode is central, and in close proximity to the University of Salford, making this area a popular area for students. This postcode also has the best rental yields in the city, with 9 percent. Right beside the M6 postcode, the M5 part of the city was once a no-go area, home to the Ordsall estate, which was known for violence and crime. A £100 million investment into local housing and infrastructure has transformed the area into a modern hub, with quality townhouses and flats. Today, rental yields sit at around 8 percent, thanks to the area’s popularity with students and its proximity to the centre of the city and to Salford. 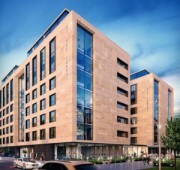 The recent investment flowing into Manchester has seen the rise of some excellent housing projects in the city. Buying off-plan is a way to buy into these developments at a lower cost, saving you thousands of pounds. Some buyers are concerned about the risks of buying off-plan: delays, or even losing their investment altogether. Of course, buying off-plan means you’ll have to wait a little longer to collect your rental income. Look for properties with excellent transport connections. Recent data shows that buyers in Manchester were willing to pay 4.6 percent more for a home if it was within 500 metres of a tram station. Student rentals are always in high demand in Manchester, so focus on areas surrounding universities. Look out for up-and-coming areas, where infrastructure investment is set to begin. However, be aware that oversupply can send prices dropping, which can cause a corresponding dip in rental returns.